Brief: To design a Food discovery & delivery app! Today’s concept is to design a food discovery & delivery app! 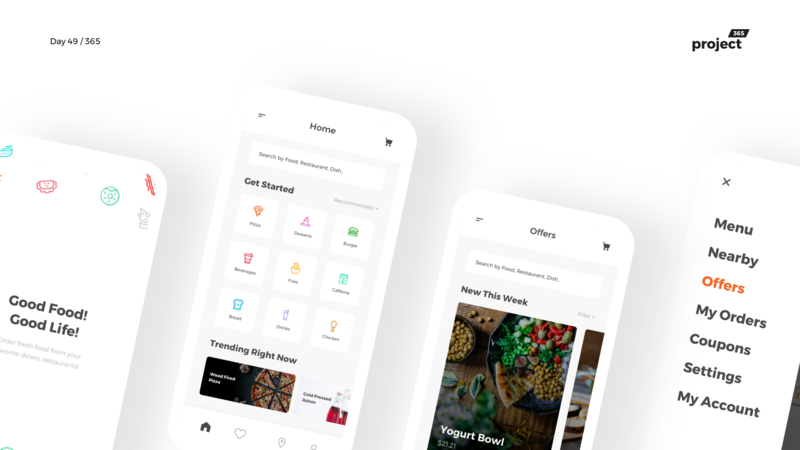 This is a lot inspired by Swiggy and a few other apps that I’ve used so far. Bold typography, Colorful icons, and neat, simple imagery. Let me know what you think of the design!